Tip #1: When you got your hearing aids you should have been given a little brush. The brush is likely black in colour, with bristles on one end. Use that brush once a day to break away any wax or debris that is on your hearing aids! Tip #2: Check your wax guard! This is the most important cleaning task. The little white piece on your hearing aid is there for a reason. Check this piece and see if it is filled with wax, if it is it will look plugged. If this piece is plugged, it will need to be changed. You simply use the “empty side”, which is the end with no white piece, to pull out the piece by poking in the middle. Then you flip it over and push the “full side”, which is the white end, into the existing opening. Voila! A changed wax guard. Tip #3: Use your cleaning cloth. When you got your hearing aids, you should have been given a cloth. This cloth is important! Think of it like cleaning your glasses. Once a day, you should run the cloth over your hearing aids to wipe off any wax or debris! Tip #4: If you have a dri-aid kit, use it! What is a dri-aid kit? The small jar with the orange puck on the inside. If you place your hearing aids in the jar overnight (with the battery doors open) this will pull moisture from them and keep them working tip top! Tip #5: Come in for your scheduled clean and checks. If you are due soon for a clean and check, which are done every six months, come on in to see us! We complete a full cleaning and help keep your hearing aids at their best. Think of it like taking your car in for scheduled servicing. Things work best when we maintain them! Treat your sweetheart to a night out on us. The winners will be contacted February 14, 2019. Always face your partner when you are talking to them. Humans use non-verbal communication strategies, like lip reading and facial expressions to communicate. It becomes increasingly difficult for your partner to understand you if you are facing away from them. Don’t just repeat – rephrase! Sometimes, we find ourselves repeating the same phrase over and over again when our partner doesn’t understand us. Instead, try rephrasing. Certain words may be more difficult to understand, so rewording what you are saying can save time and frustration. Remember that volume is not the same as clarity. Speak clearly, rather than loudly. A lot of people with hearing loss struggle with understanding. They can hear you, but they may not understand you. Slow your tempo! It is difficult to understand people who speak very quickly. This is especially true for those who are hard of hearing. By speaking at a pace that works for both you and your loved one, your conversation will flow and there will be less confusion over what was said. Keep your mouth visible. While facing your partner, try to avoid putting your hand over your mouth or blocking it in another way. Speech-reading is an effective tool for those who are hard of hearing. This is only possible if they can see your lips moving and can watch your expressions. A patient recently asked me if he could rent hearing aids from me for six months or a year. I’ve never really given that much thought. Yes, it is common for audiologists to rent out hearing aids to those in hospice, but to rent them out to the Average Joe is virtually unheard of. I talked to a few American audiologists about it, and some of them are actually doing this in their clinics. After time and research I believe that I’ve come up with something that may appeal to some patients. Who would benefit from this type of program? The person with a non-permanent hearing loss, whose hearing is expected to return within a few months. You can only rent behind the ear devices. In order to get a molded device, you would have to purchase your own hearing aids. You only have a limited color selection. There is no long-term commitment. You can rent the devices for 2 months or 2 years. You are not locked in. If you no longer want to rent them, just bring them back to our office and you will not be charge for the following month. If a newer model is released, you can upgrade to that version for no extra cost. What are the setup costs? This cost is based on us setting up the devices for you. It includes a diagnostic hearing test, programming and fine tuning with real ear measures. I need to ensure that the hearing aids are giving you the right amount of volume, and will not give you any additional hearing loss. When you do a demo at our office, we do not do any fine tuning, it’s just a first fit, and the hearing aids are not programmed to their full potential. How much will it cost to rent the hearing aids? If you require a custom earmold or Bluetooth accessory, you would need to purchase those items. These items are non-refundable. She’s here!! No, we’re not announcing a baby. Our new Speech and Language Pathologist has been treating patient’s out of our Essex location since November. It took some time to transfer her license from Michigan to Ontario, but it was worth the wait. Dragana will start taking on a caseload in Amherstburg at the beginning of January. 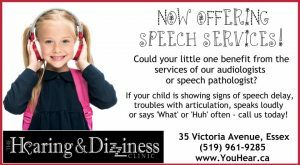 If you, your child or your parent require the services of a speech and language pathologist, call us today to book an appointment with Dragana (we call her “Dee”). Dragana graduated with her Master of Arts in Speech-Language Pathology from Wayne State University in Detroit, Michigan. She has clinical experience in schools, hospitals and outpatient clinics. Dragana has treated clients in early language intervention, children with Autism Spectrum Disorder, infants and children with cochlear implants, and adults with communication disorders. 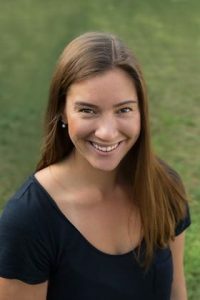 She has her initial registration with the College of Audiologists and Speech Language Pathologists of Ontario (CASLPO) and is a Clinical Fellow with the American Speech-Language and Hearing Association (ASHA). 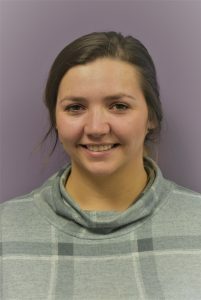 She has recently received training for the PROMPT technique and is always looking forward to expanding her knowledge in the field of speech-language pathology. Dragana will be providing services with the help of our Communicative Disorders Assistant Emily. What is a communicative disorders assistant? “[A]ny individual employed in a role supporting the delivery of speech-language pathology and/or audiology services AND receiving supervision in those duties by a qualified speech-language pathologist or audiologist”. 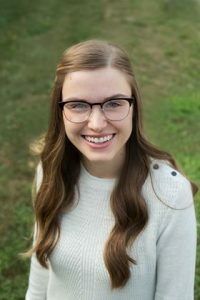 Emily graduated from the Communicative Disorders Assistant program at Lambton College in 2016 and completed the Audiologist’s Assistant program at Nova Southeastern University shortly after. She will assist Dragana at our Essex and Amherstburg locations. 2018 Hear For The Holidays Winner!! We are blessed that we can share the gift of hearing with members of the community. 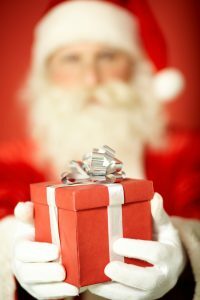 For the last three years we have given someone the chance to “hear for the holidays”, by purchasing hearing aids for them. This years winner is “Uncle Jim”. We hope he enjoys his new “ears”. We would like to thank all of the patient’s who support us. Giving back to the communities, that have trusted us with their hearing healthcare needs. The offices will be closed Friday December 21, 2018 and will return to regular business hours Wednesday January 2, 2019. Someone will be available to help hearing aids patients at the Amherstburg and Essex location on Thursday December 27, 2018 between 9am and 12 noon. People are shocked when I tell them that their hearing aids are not going to solve all of their listening problems. Hearing aids give you back the sounds that you’ve been missing, but they do not train your brain to hear, especially in noisy situations. I recommend that my patient’s complete rehabilitation when they get hearing aids or a cochlear implant. When you break a leg, you often go to therapy with physiotherapy to regain function. Function will never be 100%, but if you want the best outcome therapy will increase your function. The same can be said for your hearing. You will never hear 100%, but the therapy will improve how you function in quiet and noisy situations. 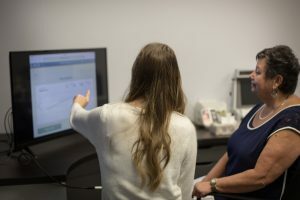 We offer two different programs that can be completed in our office under the supervision of our audiologist or speech-language pathologist, or if you prefer, once we’ve set you up, you can complete the program from the comfort of your own home. The basic program consists of 11 classes. The objective is to increase your hearing and speech understanding in difficult listening situations. The total cost of the program is $500.00 ($300.00 if you purchased your hearing aids from one of our clinics), but if you will be completing the program on your own at home the cost is $100.00. Our advanced program consists of 24 sessions. The objective is to increase your hearing and speech understanding in difficult listening situations, but instead of using the pre-recorded voice for training, we can use the voice of a loved one, the person in your life that you have the most difficulty hearing. The total cost of the advance program is $1,070.00, but if you will be completing the program on your own at home the cost is $150.00. If you want us to help you customize the program by adding the voice of a loved one, there is an extra cost. The cost for customized voice will vary based on the number of sessions it takes for us to complete the recordings. You can take these courses, even if you purchased your hearing aids elsewhere. 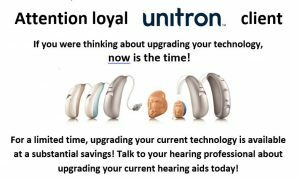 We do not want to sell you hearing aids, we want to help you hear at your best. If you have insurance that covers speech-language pathology or audiology, part or all of the above charges may be covered by your insurance plan. If you do not have insurance, you can claim the cost of the course as a medical expense when you do your taxes. Spread the word. Share the gift of hearing. Every year, we select one or two deserving patients, and our Doctor of Audiology personally pays for their hearing aids. “Uncle Jim” was the winner of this years competition. We received many great entries, and wish we could have helped out more deserving individuals. Wishing you all a Merry Christmas, and thank you for all the love and support that the community has given us. Speech & Language Pathologist Dayna Maitre will no longer be seeing patients out of our Essex location as of the end of September. We have hired a Speech & Language Pathologist who will be seeing patients (children and adults) out of our Essex location. Please contact our Office Manager Melissa if you would like to be added to our waiting list. (1) Locally owned and operated: we support local charities, events, sports teams. Our small audiology clinics are the ones supporting events in Amherstburg, Essex, LaSalle, Harrow and McGregor. (2) Not directly, or indirectly, owned by a hearing aid manufacturer. You will always be prescribed that is best for you, not what is best for our shareholders in Europe. (3) You are guaranteed to see a regulated health care provider. Many chins do not have audiologists on staff, therefore may not be seeing an audiologist and may not realize it. Many audiologists in our region are in private practice. 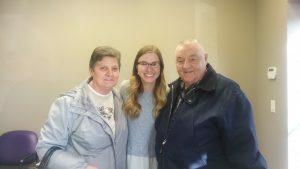 If you live in Amherstburg, LaSalle, Harrow or McGregor and want to be seen by a regulated hearing healthcare professional, then you need to visit a private practice. I do realize that there is a reason why you would want to buy from a chain. The only real reason I can think of is that you are planning on moving in the near future and want to deal with a company that has a location near your new home. You probably thought I was going to suggest that price would be a reason to buy from a chain. Unfortunately, that is not the case. Hearing aids are regulated medical devices, so there really isn’t a price difference between clinics. If you believe you will get a deal at a chain, book an appointment with an independent audiology clinic to see what they can offer. You may be surprised that the independent private practice may offer a better deal than the faceless hearing aid chain. You wouldn’t think I’d have much to say about something as simple as a hearing aid battery. Well, let me prove you wrong. Size 5 (red sticker): VERY small battery. I don’t think they make this battery anymore. Size 10 (yellow sticker): the smallest battery on the market. The larger the battery, the longer it will last. There are other factors that will dictate how long a battery will last: (1) the number of hours a day you wear your hearing aids, (2) the volume that the hearing aid is set at – the louder the aid, the more current it will drain (3) devices connected to the hearing aids (bluetooth, FM system etc..) will drain more current. What brand hearing aid battery should I buy? Many people think that they can put just any battery in their hearing aid. When you invest thousands of dollars into a sophisticated medical device, do you think it’s wise to skimp on the batteries? My self-pay patient’s do not have to worry about purchasing hearing aid batteries, as they get batteries as part of their service plan. I do, however, encounter people who recently moved to town or obtained their hearing aids from another clinic. I cringe whenever I hear someone say that they purchase their hearing aid batteries from a store that “sells items for a dollar”. Don’t get me wrong, I like a bargain, but hearing aid batteries are not an area where you want to cut corners. I have heard people tell me that the “cheaper” size 312 batteries last a day or two. If that is the case, you may be spending more in the long run if the same size “brand name” battery would last seven to ten days. Another concern with the cheaper batteries is that they have been known to destroy hearing aids. You may save a couple dollars on batteries, but it isn’t worth it if you have to spend thousands of dollars to replace a damaged hearing aid. For the price conscious individual, we sell a four pack of hearing aid batteries for $2.50. Our private label batteries are a brand name, and we get out logo put on the packaging. I know the local “things for a dollar store” sells two batteries for $1.00. When you do the math, our batteries work out to be $1.25 per package and the brand name company that we get them from guarantees that they will not destroy your hearing aids. Do I have to pay tax on hearing aid batteries? Hearing aids are a medical expense. Hearing aid batteries are also a medical expense. You DO NOThave to pay taxes on hearing aid batteries. In fact, you can claim the cost of hearing aid batteries on your taxes. I am amazed by the amount of people who tell me that they were tested by an audiologist, but in reality they were tested by the office secretary, the physicians wife, or even the janitor. You may think I’m joking, but unfortunately I’m not. The next time you see your audiologist, ask them about this and I guarantee you that they will tell you something along the same lines. I’m not going to bash any other profession, but I do think that patients need to know who they are seeing. Obviously, I am biased: if you ask me EVERYONE should see an audiologist. Also known as E.N.T. or an Otolaryngologist, this is a surgeon. E.N.T.s are medical doctors. Surgeons do surgery, and prescribe medications. Often, family doctors will refer patient’s who complain of hearing loss to these surgeons. Personally, I believe that this is often a waste of a medical referral. Especially during the cold months when children with chronic ear infections have to wait months before getting an appointment. Just my two cents. What can I say, Audiologists are awesome. I just wish the general population knew who we were. When I tell people what I do, people think I work with stereo equipment. If you are one of those people, don’t be ashamed. I went to visit a local family doctor and he had NO CLUE what I did. I wish I was joking, but I am not. Now you really want to know what an Audiologists do. Audiologist have a Masters or Doctorate level degree in Audiology. After completing undergrad, we complete three to five years of advanced education. Simply put, we diagnose and treat hearing and balance disorders. DISCLAIMER: Ohh wait… in Ontario we don’t diagnose (I will save that for a later rant). When you see an Audiologist we will measure you hearing, similar to how an Optometrist (Eye Doctor) measures your visual acuity. An Audiologist will prescribe hearing aids, similar to how an Optometrist will prescribe glasses. We also see patients with balance disorders, tinnitus (ringing/sounds in the ear), and central auditory processing disorders. If you had a “free hearing test”, you most likely saw a hearing aid dispenser. I hate to use the eye example again but think of them in the same light as an optician. Opticians can dispense (or teach you) how to use your glasses (and possibly contact lenses, I’m not sure about that), hearing aid dispensers are supposed to dispense hearing aids BUT there is a loophole in our Ontario Healthcare system that allows them to “suggest” hearing aids (this will be a topic of a later rant). Dispensers are non-regulated health care providers who have a college level diploma. As I said before, I am biased towards Audiologists. I hope I haven’t confused you. If you, or a loved one, have a hearing loss it would be in your best interest to be evaluated by an Audiologist. Book an appointment to see an Audiologist today! Tinnitus is the name given to the sensation of noises in the head and or ears. It is present when there is no external corresponding source. Patients report that it sounds like high pitched hissing, sizzling, ringing, buzzing, chirping, clicking, rushing, booming, roaring or even a pulsating or thumping sound. Tinnitus can begin at any age. Although it does not mean that you have hearing loss, many people with hearing loss complain about tinnitus. According to the Tinnitus Association of Canada, there are more than 360,000 Canadians that suffer from this condition. Within that group, 150,000 report that these noises seriously impair their enjoyment of life. The most common causes of tinnitus are a blow to the head, infection, noise exposure, whiplash injury; any kind of emotional or physical stress, or shock. An Otolaryngologist (Ear, Nose and Throat) surgeon may exam you to detect conditions such as an acoustic neuroma, or otosclerosis, that the presence of tinnitus may suggest. An Audiologist can test your hearing to determine whether the tinnitus might be eased by a hearing aid, a masker, or a combination of the two. There are a handful of audiologists that are qualified as counselors in Tinnitus Retraining Therapy. Doctor of Audiology Bernice A. McKenzie is proud to be one of those audiologists. For more information on tinnitus, please visit the websites for the Canadian Tinnitus Foundation, The American Tinnitus Association or the British Tinnitus Association. For information about tinnitus management, please visit the website for the Tinnitus Practitioners Association. If you suspect that a loved one has a hearing loss, do not assume that the family physician will let you know. Less than 12% of physicians refer their patients to audiology. Physicians do not notice hearing loss because they typically see their patients in an ideal listening situation (small quiet room with no background noise). If you believe that your loved one has a hearing loss, do not wait for the family physician to recommend a hearing test. You do not need a referral to see an audiologist, we are like dentists, you just need to call and make an appointment. Our clinic has been serving the residents of Amherstburg, LaSalle, McGregor, Essex, Harrow and Windsor since 2010. Physicians who are not Ear, Nose and Throat specialists get very little education about hearing in medical school. Even ENTs who are quite knowledgeable about ears are seldom educated about hearing aids, but because they are medical doctors, patients listen to them and accept as fact statements that might only be opinions. Hearing aid technology changes so frequently that audiologists can barely keep up, but that’s precisely what makes audiology a specialty that requires several years of schooling and constant updating! When your physician (or anyone!) tells you to skip getting hearing aids for now, ask if s/he knows of a medical or surgical intervention that will make you hear better or make your tinnitus subside. If the answer is no, then get out of there and head to an audiologist for another opinion. If you have trouble hearing – even “sometimes” – please don’t postpone taking care of it. 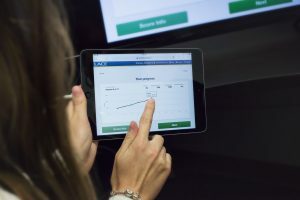 Today’s hearing solutions range from simple amplifiers that are useful for those who truly might not benefit much from “real” hearing aids, yet report some difficulties, to high-tech devices that will even interact with some electronic devices in the home. Many people don’t realize how much they miss and how much added stress and fatigue results from straining to hear. Life is not only safer and experiences richer when one can hear, people report having energy that they thought was only available to the young. Now that there has been shown to be a relationship between untreated hearing loss and early onset of dementia, it is more important than ever to retain your hearing as long as possible. If that means wearing hearing aids, wear them proudly in the realization that you are taking care of yourself so that you can interact fully for as long as you walk this earth. Friends and loved ones are counting on you! You are a Doctor but I can’t call you Doctor? Our audiologist is a Doctor of Audiology. She was part of the first graduating class of Doctors of Audiology at Wayne State University in Detroit, Michigan. 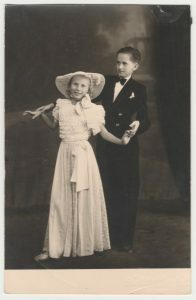 Prior to her official graduation the was practicing in Livonia and was referred to as “Dr. McKenzie”, then after she graduated she returned to Ontario where she could no longer use her title. In the United States, audiologists who hold a doctorate degree are able to address themselves as Doctor to their patients. In Mexico, audiologists who hold a doctorate degree are able to address themselves as Doctor to their patients.In the U.K., audiologists who hold a doctorate degree are able to address themselves as Doctor to their patients. In other provinces of Canada, audiologists who hold a doctorate degree are able to address themselves as Doctor to their patients. Unfortunately, audiologists who hold a doctorate degree in audiology are unable to address themselves as doctor in in Ontario. There is a list of several health care professions that are allowed to use the title doctor while treating patients in Ontario. This list includes physicians, chiropractors, optometrists, dentists and psychologists. Patient’s who go to a dentist, are not confused when they see “Dr. Smith”. Patient’s who go to an optometrist, are not confused when they see “Dr. Brown”. Patient’s who bring their dog to a vet are not confused when they see “Dr. White”. Yet, for some reason it is believed that patients who make an appointment to see an audiologist will be confused when they see “Dr. Green”. Our audiologist is Dr.McKenzie when she goes to the bank. She is Dr. McKenzie when she renews her drivers license or passport. She is Dr. McKenzie in every situation but one: when she treats her patients. She has to actually correct her patients when they refer to her as Dr. McKenzie. In June 2016, audiologist Dr. Brenda Berge launched a constitutional challenge to use the title doctorwhen treating patients. It’ll be interesting to see what will happen next. We will update this post once a decision has been made. A few times a year I will get a phone call from a patients wanting to be seen right away because they woke up and could not hear out of one ear. Sometimes these people will complain about tinnitus, dizziness or a plugged up feeling. Sometimes the only symptom is hearing loss. (1) You will want to have your ears checked for wax by either your local independent audiologist, your family physician or nurse practitioner. (2) If wax is not the culprit, you will want a full audiometric evaluation performed by an audiologist. (3) Your audiologist will determine the degree and type of hearing loss that you have and then recommend the appropriate next steps. You may have to see an Ear, Nose and Throat Surgeon (Otolaryngologist), and having a hearing test will help the audiologist come up with recommendations. If you woke up with decreased vision you would book an eye exam right away. Do not ignore sudden hearing loss, book a test with our local independent audiologist. Residents of Amherstburg, Harrow, LaSalle, McGregor, Essex and Windsor can call our office to be tested by our Doctor of Audiology.